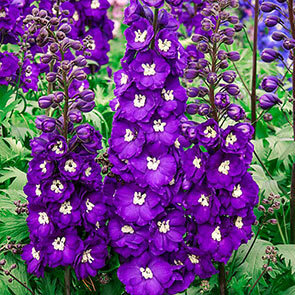 For a striking cut flower with vibrant colour, nothing beats delphiniums. 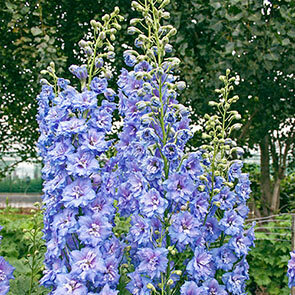 But traditional delphinium varieties are known to bend and even break in a strong wind or rain. Now you can enjoy the bold heights and hues of these classic beauties without breaking or staking. 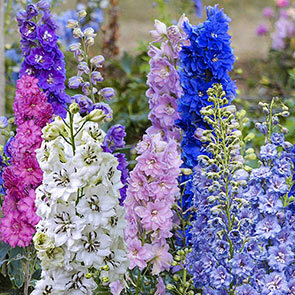 Our new collection of improved delphinium hybrids are rigid and reliable, bred with stronger stems for a fuss-free display. And they also tolerate heat and humidity better than older varieties. Hybridized in New Zealand by breeder Terry Dowdeswell, all five varieties in our Millennium Delphinium Collection can take what nature dishes out better than all the rest, and they'll look great doing it! Simply plant your delphiniums in sun or part shade, and in early to midsummer, your towering flowers will appear. Mounds of deeply cut leaves will be the foundation for the spectacular, showy spikes in five distinct shades. 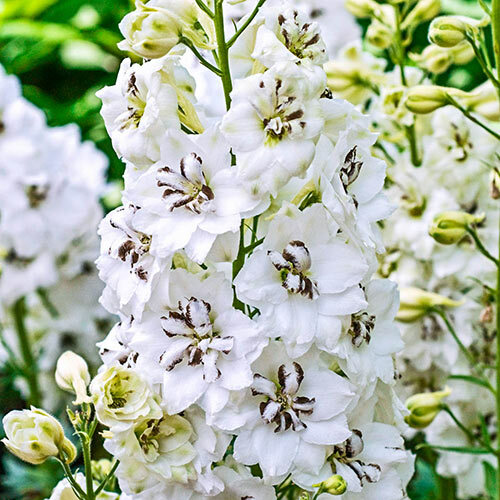 Butterflies and hummingbirds will flock to the 2" florets—simply deadhead or trim to encourage secondary blooms. 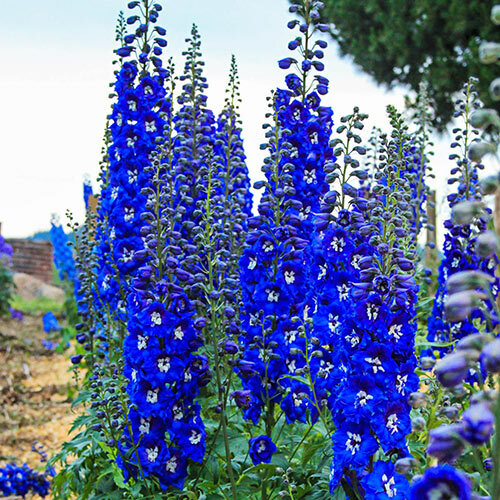 Deer, rabbit and mildew resistance add to the appeal of these garden giants that look fantastic in cut arrangements, too. Flowering Time Early to mid summer, removing spent spikes rafter flowering will encourage repeat blooming in fall. 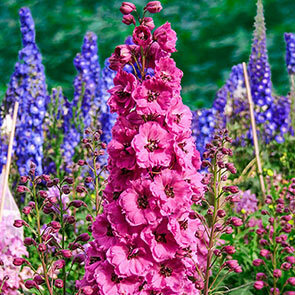 Pruning Removing spent spikes right after flowering will encourage repeat blooming in fall.